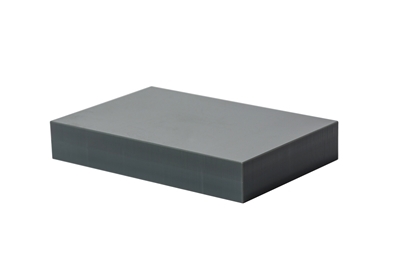 When placed on top of the soft silicone gasket used with our glass microplates, it will allpy adequate pressure for a gas-tight seal to form, thus allowing for respiration measurements. This microplate guide fits snug over the microplate reader offering a quick and effortless way of holding the microplate in place so that the 24 oxygen sensor spots are centered directly over the 24 LED light sources for optimum signal strength. The guide is made for applications where an incubator is used for temperature control of the microplate respirometry system. This guide is not needed if using the flow-through water bath for temperature control. 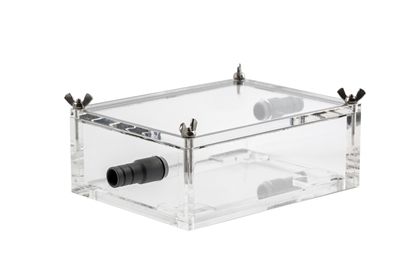 This flow-through water bath for a single glass microplate, fits snug over the microplate reader offering a way of holding the microplate in place so that the 24 oxygen sensor spots are centered directly over the 24 LED light sources for optimum signal strength. The water bath have ports for passing a flow of chilled/heated water over the microplate, i.e. making it possible to measure aquatic respiration rates at any environmental temperature. 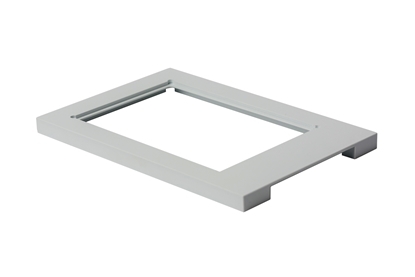 Apply this 100 mm wide parafilm on the re-usable silicone gasket sealing our glass microplates to prevent direct contact with samples/chemicals that could potentially enter and accumulate inside the silicone material. 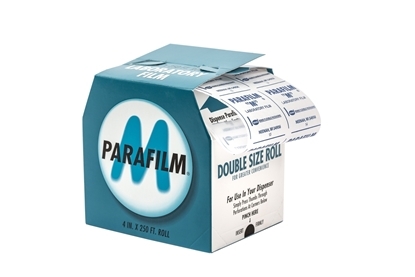 The box contains a length of 38 meters of parafilm (e.g. 0.1 x 38 m). 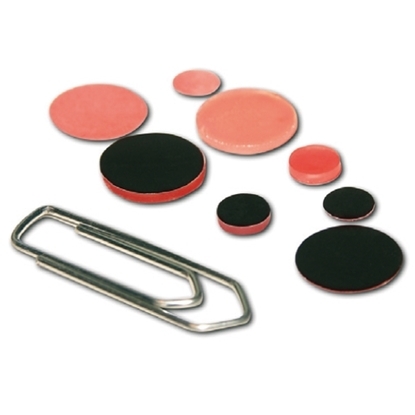 This silicone pad (120 x 80 mm) is used as a compression gasket to seal our microplate respirometry chambers. It is made of non-toxic non-hazardous silicone materials that can be cleaned in a soap solution and re-used. These oxygen sensor spots are compatible with the microplate reader and can be used as replacements for any damaged or bleached spots in your Loligo® glass microplates (vol. 80-1700 µl). Please visit our FAQ for instructions on how to mount spots. The sensor spots come pre-calibrated, but the microplate reader software also offer a 1-point and 2-point calibration option. A black optical isolation layer shields the oxygen sensitive dye, so this sensor can be used in ambient light or even at illumination, e.g. for photosynthesis applications. The sensor spot can be cleaned with ethanol and is therefore reusable.